An old udatsu remains in the rear half. 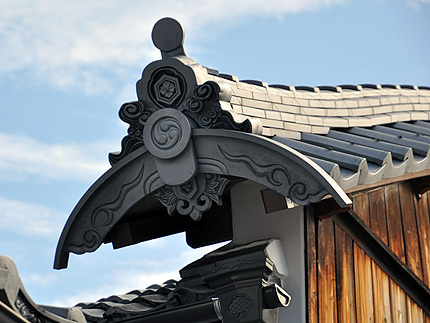 The udatsu decoration which includes a small ridge end tile is considered to date from the middle of the 18th century. The mukuri gable tile is the only one in this neighborhood not shaped like the Japanese character “人”.